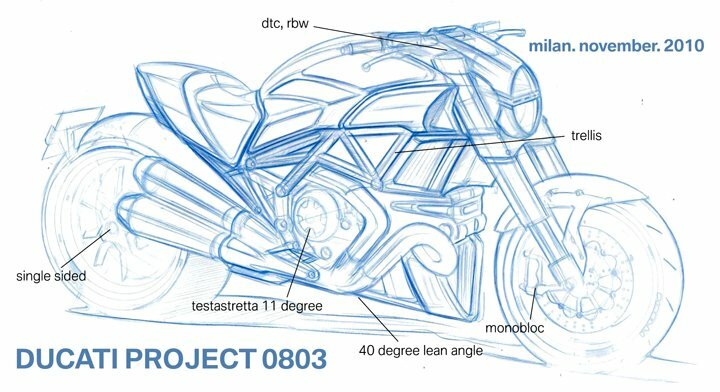 This leaked sketch was found on a Ducati forum where the forum member claims he received it from the dealer that sold him his Streetfighter. 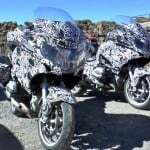 Motorcycle.com published an article last week that shows some spy shots of the new cruiser on the road along with some other information on the potential new bike from Ducati. See the official statement from Ducati after the jump. 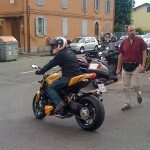 As many you may have noticed, there has been quite a bit of activity in the past few weeks surrounding a supposed new Ducati model. I wanted to take this opportunity and send you a note saying indeed we do have a surprise in store for this year’s EICMA show. Our R&D department is working around the clock to complete development of this radical new motorcycle, for which time to complete final design and engineering elements will surely come down to the wire. I’m sending this letter today in order to inform you of our communication plan. 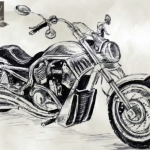 Since many details of the bike (big and small) are still being sorted out; I have elected not to forward information or photography until the rolling prototypes come close to resembling what the final product will look like. Stay tuned for further information from the Ducati Press Department; and I can assure you the final bike will impress all with the design, performance and technology everyone has come to expect from Ducati.